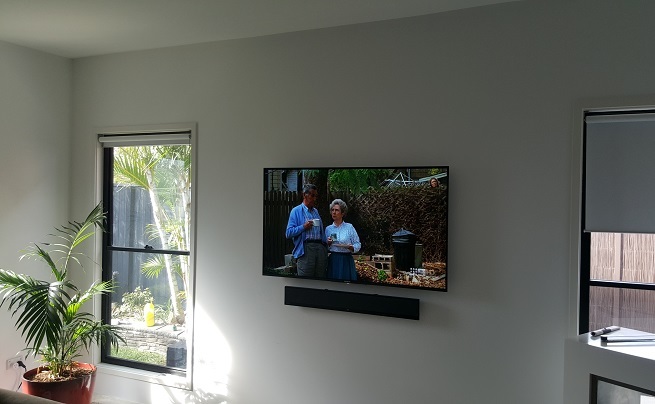 Mons Soundbar Mounting on the Sunshine Coast is the growingly popular audio method reviving entertainment experiences for Mons locals and surrounds. You've heard of sound bars before, but did you know that they can be connected with your TV's audio and provide a higher quality of sound for your system? The most important thing to know about soundbar installation is that every TV is compatible. 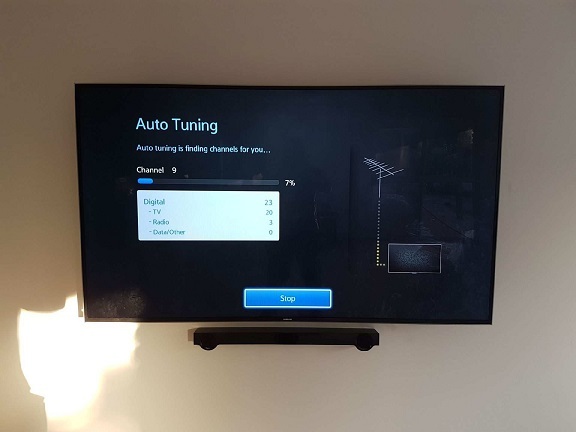 Either by connecting the soundbar to your TV via a connection cord or through bluetooth, your TV can share audio with your sound system in an easy way. By wall mounting your soundbar, you'll be able to tell a difference in sound quality immediately. And the best part of all, you can connect your phone to your soundbar so that all of your audio can be synced to the high quality system. Mons soundbar installation is best suited to, well, any place you'd like to look super sophisticated and suave! 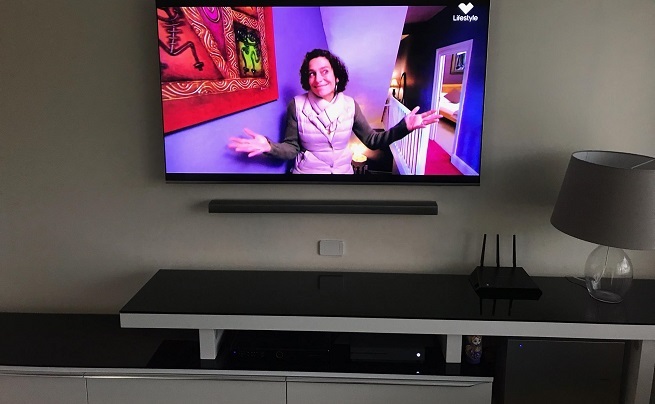 There's no denying that a wall mounted TV, like the one pictured which we have recently completed, teamed with a wall mounted soundbar doesn't look like a million bucks. Not only is mess basically impossible, you'll also find that this is one of, if not the most, safest way to watch and enjoy entertainment within your family home or business. No nasty speaker cords, no TV cords either. Just pure, blissful TV entertainment without the bulky look. Our qualified, professional technicians are nothing short of excellent. 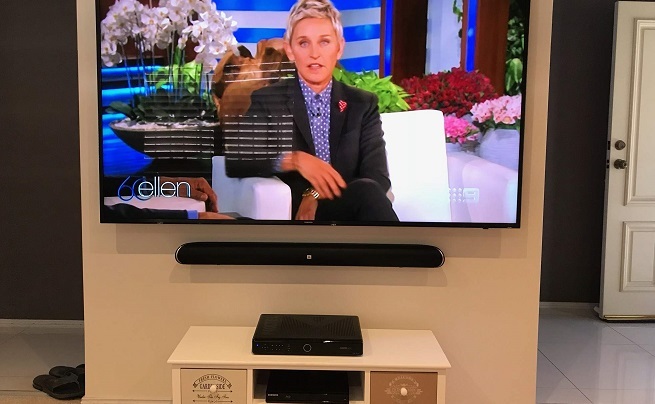 Priding themselves on providing the best visual and audio experiences to customers across Mons and the wider Sunshine Coast area, our Mons soundbar mounting team will have your TV sounding and looking fantastic. Get in touch with Brent to discuss your soundbar needs in Mons and organise your free quote!